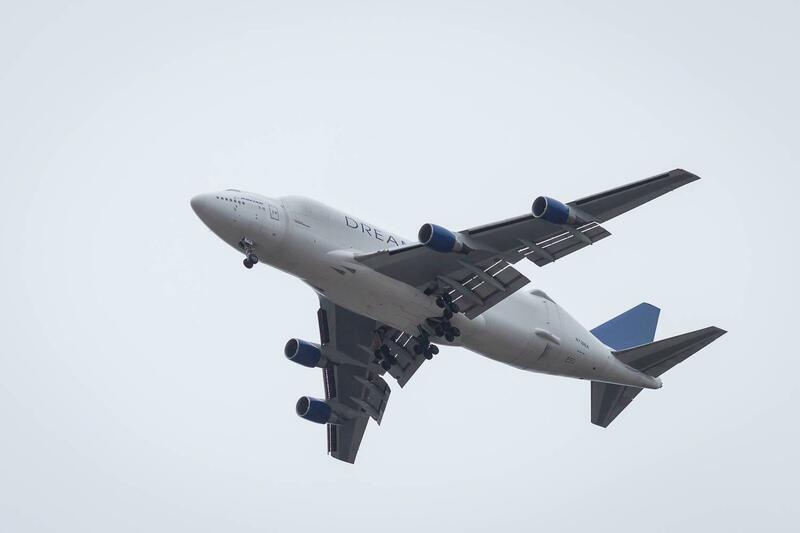 Boeing built a special cargo plane, the Dreamlifter, to move composite fuselages from Spirit AeroSystems to other plants. Spirit's work on commercial airline fuselages might help Kansas in an economic downturn. Former Federal Reserve chairman Ben Bernanke compared the national economy to a Looney Tunes character: magically floating in the air for a moment after running off a cliff before inevitably plummeting in 2020. About half of America's chief financial officers predict a recession before the end of this year, according to a Duke University/CFO Global Business Outlook survey. In Kansas, Johnson County Community College recently raised tuition, citing concerns about a possible downturn. 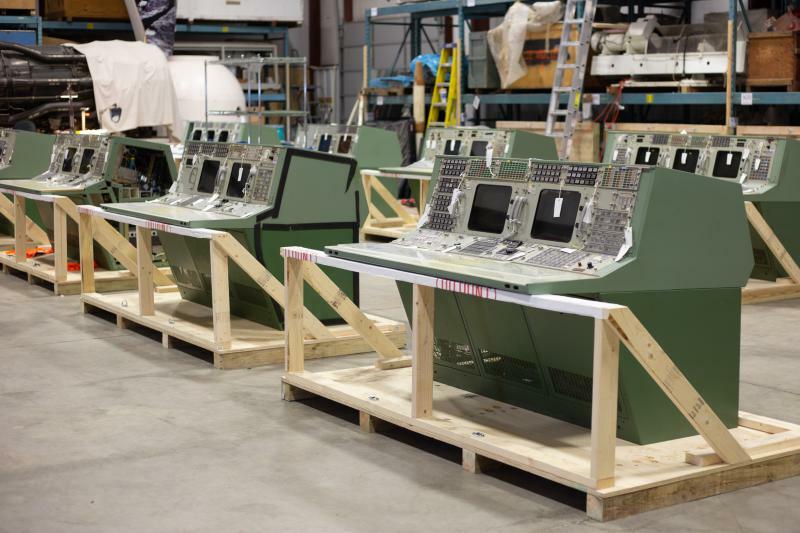 While some economists are increasingly worried about the prospect of a new national recession, others say Kansas' aerospace industry could cushion the state from much of the hurt. "This is looking, if not completely recession-proof, then, well, in pretty great shape," said Richard Aboulafia, an economist with the Teal Group. The Great Recession took a significant toll on Kansas' aviation industry. Wichita lost nearly 11,000 aviation jobs; Hawker Beechcraft filed for bankruptcy in 2012. "In the past aviation, rightly or wrongly, has gotten a lot of credit for our boom and bust," said Gary Plummer, president and CEO of the Wichita Regional Chamber of Commerce. "It's a significant shift ... that the industry is being attributed with helping." During the recession, the state suffered due to its reliance on the manufacture and sale of small and mid-sized business jets. The segments were hit especially hard during the recession. What's different this time around is that Kansas is now working on the type of planes the aviation industry craves. Boeing's 737 continues to see large global orders. That has created a significant backlog. The fuselages for the 737 are made by Spirit AeroSystems in Wichita. The company recently announced it would hire 1,400 new workers to catch up with the orders. Economists say that a recession isn't going to change that global demand — assuming the recession is as shallow as economists expect. While aviation is only part of the Kansas economy, it is an important component. Aerospace contributes more than $5 billion to the Kansas economy. About a quarter of the state's exports come from the industry. Perhaps the only industry more important is agriculture. Farmers have struggled in recent years. Yet agriculture tends to outperform other industries during a recession, further insulating Kansas from economic pains. "Everybody has to consume food," said economist Steven Cassou with Kansas State University. "Even if there is a recession there's still that demand." The optimistic predictions come with a large caveat — the possibility of a heightened trade war. Higher tariffs and tensions with China and other countries could severely hurt both aerospace and agriculture. China cutting back on its large order of planes would be a massive blow to aerospace. And the Chinese tariffs on soybeans have demonstrated that country's ability to target American farmers. Some economists say a recession could happen independent of a trade war. Others warn that a trade war would likely be the catalyst of the next recession, which would cause significant suffering in Kansas. "Trade war is the virus that causes the recession illness," said Donna Ginther, an economist with the University of Kansas. "I don't think you can separate the two." During a lunch gathering held by the Wichita Independent Business Association last month, many business owners entered concerned about the toll a recession would take on their companies. "Because we suffered so badly in the Wichita market in the last recession, it makes us even more jittery," said Alicia Holloway, president of WIBA. But a presentation by Wichita State University economist Jeremy Hill provided welcome relief to the room. He predicts that Kansas is better positioned than most states to deal with a national recession. "The fact that we as a state may absolutely skirt this next recession in 2020? Color me happy," Holloway said. But Hill warns about the need for prudence. "Everybody should be very cautious about the recession," Hill said. "If the U.S. does go into recession it could slow our economy. It could have some negative numbers. I just don't think it will be as much." Editor's note: This story originally identified Donna Ginther with the wrong university. She's a faculty member at the University of Kansas. 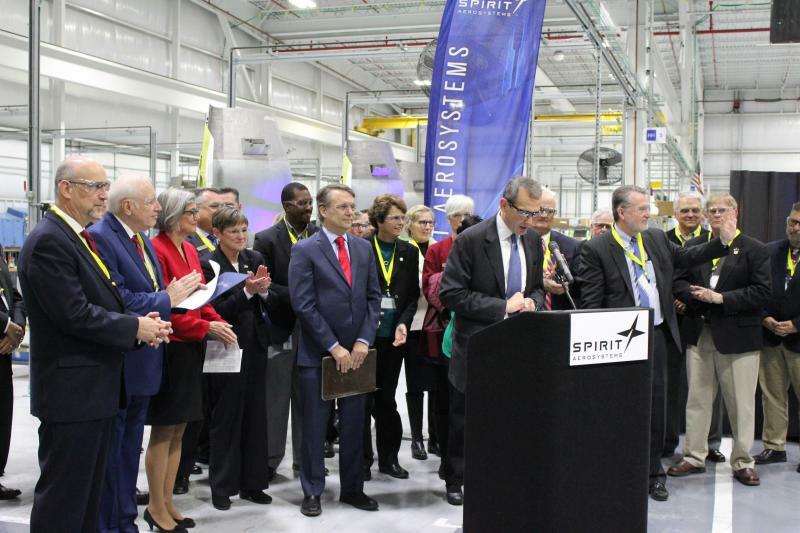 Spirit AeroSystems announced Wednesday it will add 1,400 new jobs over the course of the next year.